(HealthDay)—For hospitalized older patients, the presence of a do-not-resuscitate (DNR) order is associated with poor short-term clinical outcomes, including mortality, according to a study recently published in the Journal of the American Geriatrics Society. Karishma Patel, M.D., from Northwell Health in Manhasset, N.Y., and colleagues conducted a retrospective cohort study with propensity score matching to explore the effect of the presence and timing of DNR orders on short-term outcomes among hospitalized medical patients aged 65 years and older. Data were included for 1,347 patients in the DNR group and 9,182 in the no-DNR group. 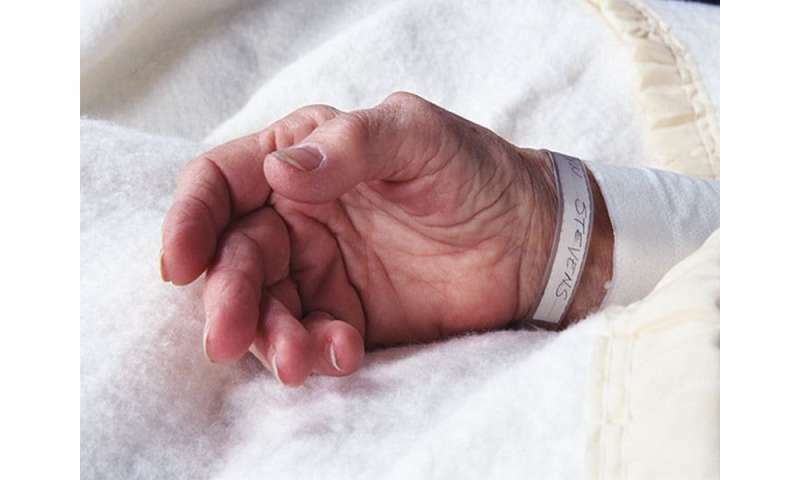 After propensity score matching, the researchers found that the DNR group had significantly longer stays and were more likely to be discharged to hospice and to die. A significant difference in median length of stay was seen for those who had a DNR written within 24 hours of admission versus those who had a DNR written more than 24 hours after admission (6 days versus 10 days). Patients with early DNR were less likely to spend time in intensive care, receive a palliative care consultation, be restrained, have an order for nothing by mouth, have a bladder catheter, or die in the hospital; they were more likely to be discharged home. "Further studies are necessary to better understand the presence and timing of DNR orders in hospitalized older adults," the authors write.